PACOTHERM™ (also called TRIPAK) is a PACOTHANE®-clad, releasable Press Pad that is specifically engineered to control the variables associated with the lamination processes used in the manufacture of Printed Circuit Boards. 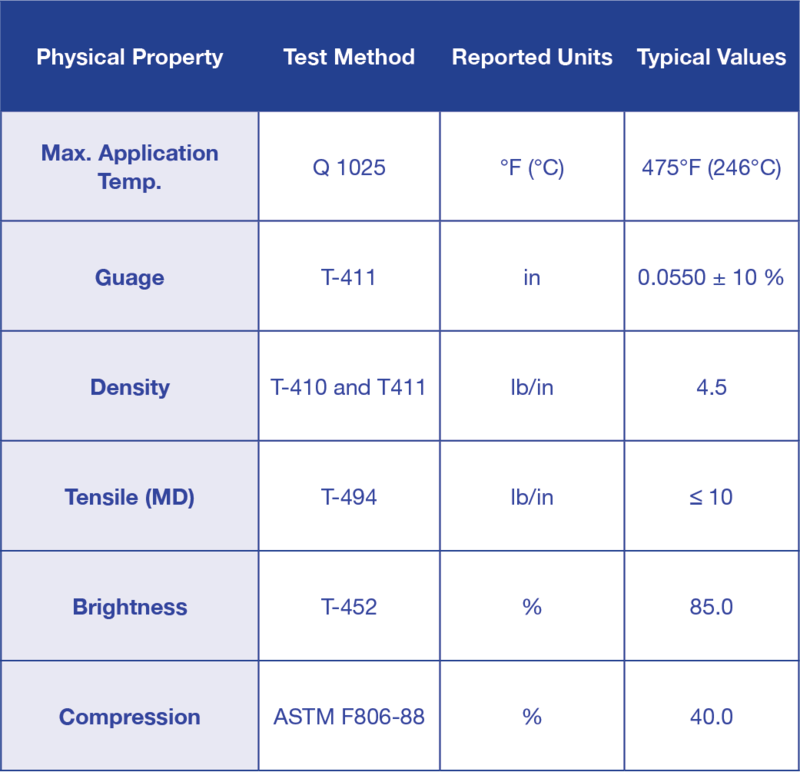 TRIPAK'S primary function is to economically deliver consistent, repeatable Heat Rise. The secondary function of this three-layer pad is to equalize applied pressure across the panel surface. 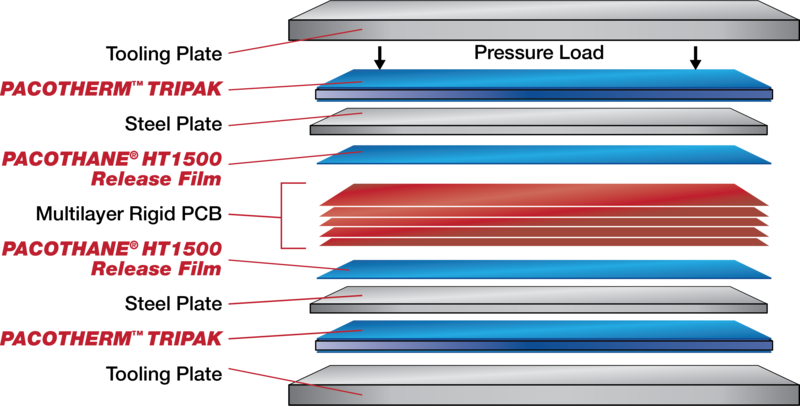 PACOTHERM™ TRIPAK is unique, and shares the exact same attributes and functionality as Pacopad only with the added benefit of bonded Pacothane Release Film on both sides. First manufactured on a highly specialized paper machine, using virgin fibers that guarantee a low density profile consistent across the entire area of the sheet the Pad is then carefully laminated on both sides with Pacothane Release Film exceeding in performance of any known "Multiple Use" Press Pad offering in the market. Tripak is an excellent High Temperature Press Pad for Rigid Polyimide Lamination being rated to 475°F without any functional risk. PACOTHERM™ TRIPAK is always available in custom-sized sheets (with or without tooling holes) for "Just- In-Time" delivery through exclusive local Distributors around the world from locally-available stocks.